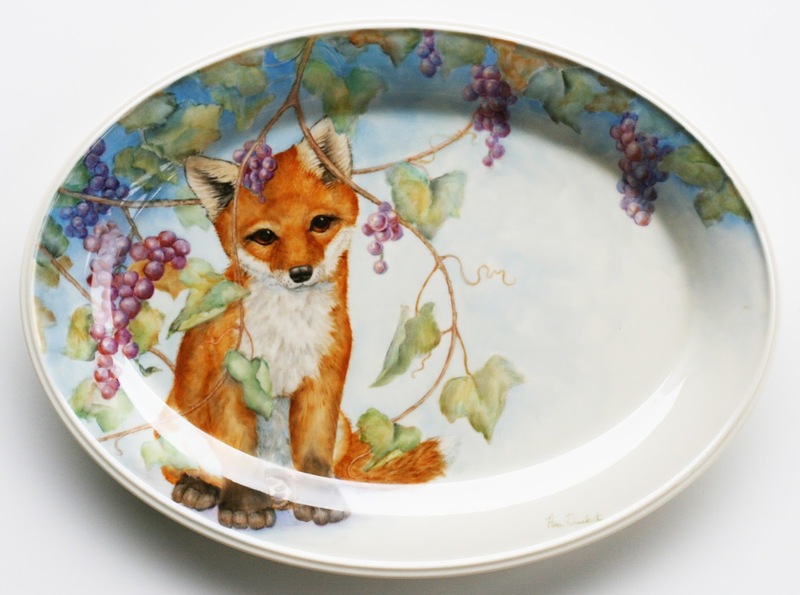 This little fox has been caught in the grapevines. Several years ago, I looked out the window and my fig tree was swaying! I watched as a fox climbed down from the tree with a fig, ate it, looked up and picked out which one he would eat next and then climbed back up to get another fig. I will paint that one of these days!